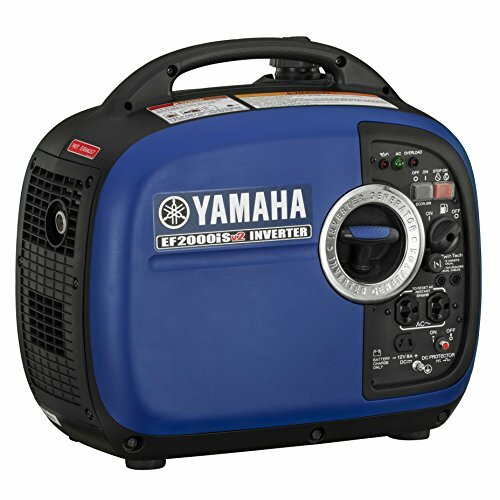 Yamaha portable generators are low cost and easy to use. These generators have the powerful motor that gives ample runtime. The inverters are more popular due to their size and better performance. 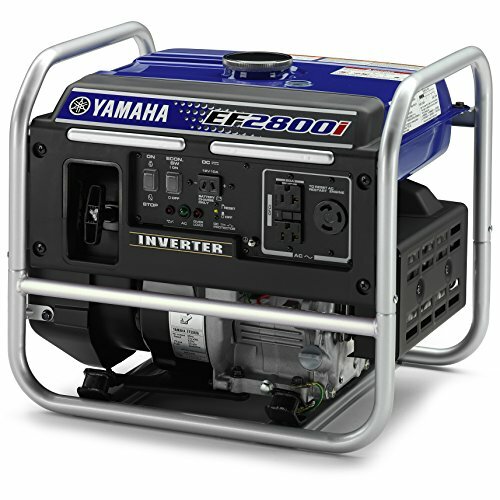 Yamaha inverter generators are quiet, fuel efficient and distributed in the USA by Yamaha Motor Corporation. These days, due to the increasing incidents of storms and hurricanes all the families living in storm-prone areas buy a generator. 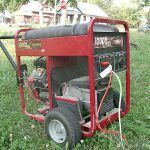 When you search online you can find a wide variety of generators for home, office and industrial use. Almost all dealers offer rebates, free shipping and good customer service as well. You can order online and save yourself a trip to the local store. Buy from a 900W to a 9500W unit based on your requirements. Before you part with your money, it is good to make sure you are getting what you need. For this reason, you have to evaluate your usage. When you call an online company, their salespeople will help you choose the right portable generator that gives ample wattage. If you need a backup power supply to power up your backyard party, consult with the sales people and tell them what you require. For a picnic party at a remote location, a smaller unit will do well. It will power up the lights in the camp, allow you to cook meals, make coffee and keep all communication devices fully charged up. Those who work outdoors with tools find the Yamaha portable generators most convenient and reliable. 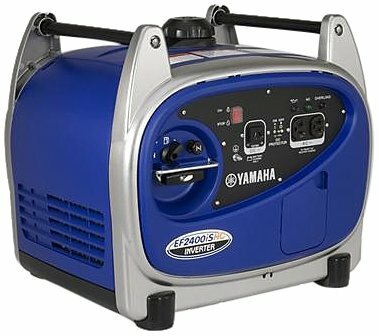 Yamaha EF1000iS 900W Inverter Generator costs less than $800. Those on a small budget can pay easy installments of less than $30 /month. This generator has a 12 Volt DC output and comes with battery-charging cables. You can recharge 12-volt batteries for RV, auto, marine, and so forth. It has a small lightweight alternator which reduces its weight to 27.9 lb., making it the lightest generator in its class which is also painless to carry. The good thing about a compact generator is that it is easy to store and takes up less space. This makes it a good choice for an RV as it lets you move around without a hassle. If you are looking for a backup power supply for your house or commercial business the Yamaha EF12000DE 9500W Electric Start Premium Portable Generator will turn out to be the better choice. It costs only $3,959.00 and you can have it delivered to any doorstep. Before you place an online order, check for availability. Some models are in ready stock and it will take only a day to have a unit shipped to your address while those out of stock may take a lot longer. 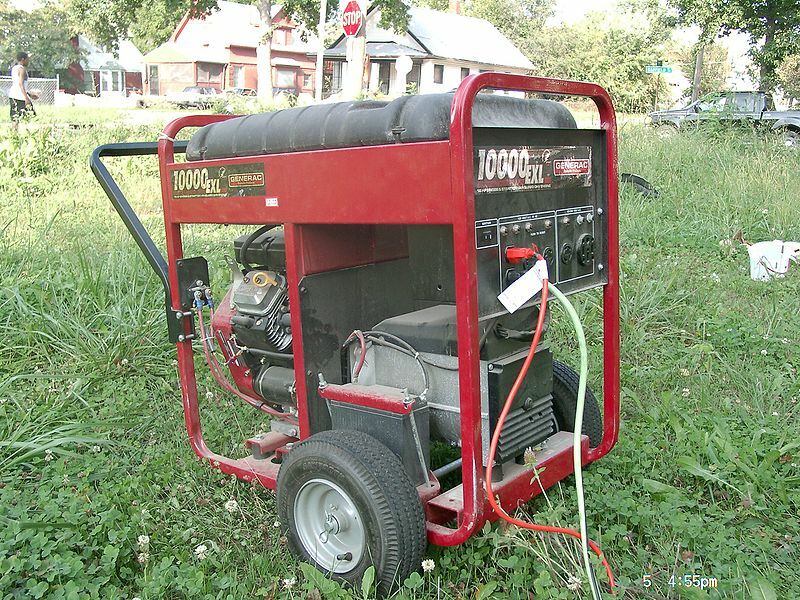 Now that the stormy season is right around the corner, it is wise to buy a generator so you are never in the dark. Set it up and get used to working with it. Read the user manual and find out more about its functionality. The dealers will be happy to help you learn more about your purchase. If you have to evacuate the area, you can leave your security alarm on and the fridge running. The alternate current is generated by means of an inverter system. This inverter system employs Pulse Width Modulation (PWM) to output high-quality “sine wave” electricity. This means it can be used safely with precision equipment like a microwave oven, PCs and appliances with microcomputer functions. Adoption of an inverter system enables the alternator to generate highly efficient high-frequency 3-phase AC current. The alternator for inverter generators is a multi-polar type composed of two 18-pole stator coil(s) and a rotor with six permanent ferrite magnets. Adoption of this highly efficient alternator makes it possible to achieve a dramatically lighter and more compact unit compared to conventional alternators with bi-polar synchronous rotors. The new EF2000iS is for people who want to carry the generator anywhere with ease. The aim was to make it light and compact. but super powerful 20kVA output. The new MZ80 engine was designed with a primary aim of making it as light as possible, while the generator body has been designed of light yet strong materials including polypropylene. Thanks to these efforts, the weight of the EF2000iS is just 19.9kg! The dimensions were also revised for easy handling and user friendliness. Get power at your fingertips, whether you need to run a cooker or commercial power tools. The EF2000iS is one of the lightest generators around, and its 19.9kg weight means you can carry it with just one hand. Despite its power, a large capacity muffler ensures that it runs with a low noise emission of just 51.5 dB(A). The compact control panel, with all dials on one side, makes it easy to use, and fits with the new clean and retro overall design. The 4.2-liter fuel tank will allow for 10.5 hours of continuous operation at 1/4 rated load. So, whether you take it camping or to a building site, this brushless inverter is up to the job. EF2000iS is No.1 in ease of use. As with the popular EF2400iS, all the starter and control functions are gathered in one place on the front panel. You can do all the operations to start and run your EF2000iS from the same position. We have positioned the recoil type starter pull and switch panel for easier access. This model is outfitted with a parallel-use function as standard equipment to enable the use of two generators to accommodate a wider range of uses (widened range of output needs). You can connect two units of EF2000iS by using the optional parallel connection kit. Professional users operating a variety of precision devices sometimes need a little more output. With the EF2000iS you can connect two units to get the added output maximum of 3.0kVA for a variety of work uses. 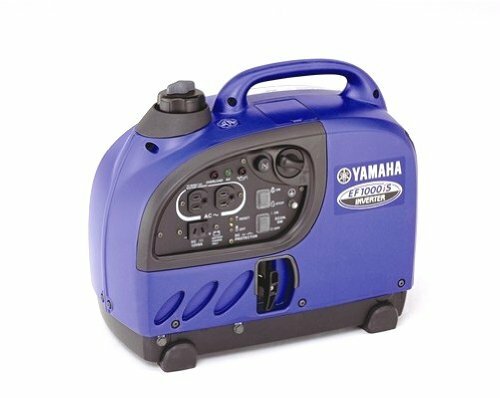 Quite durable and convenient, the Yamaha EF1000iS is designed for anyone seeking an ultra-portable source of electricity. It combines compact proportions with an impressive maximum operating time of 12 hours. Ideal for camping trips and outdoor events weighing in at only 12.7kg, the EF1000iS can be used to power a range of appliances – from radios and TVs to coffee makers. It also has a 12V outlet for battery charging. The inverter system with pulse width modulation produces higher-quality, cleaner electricity, and sound absorbing materials keep the volume down. Combined with the easy to use single sided control panel, it makes for a quiet and convenient power source. The EF2400iS combines convenience and power in one desirable package. A weight of 32 kg takes the strain out of transportation, while ultra-quiet operation levels (54-59 dBA) keep noise to a minimum. However, the 2400iS counters its size with an output of 2.4 kVA continuous. This gives you the power to drive a range of medium to larger appliances – including the 13,500 BTU class air-conditioners that are used in many recreational vehicles. And it has the capability for even more, thanks to its Twin Tech capacity. Hook up two EF2400iS generators for 3.8 kVA of maximum power. Weighing just 30kg, the compact EF2800i punches out a maximum of 2.8kVA and features a special design that combines a cooling fan for both engine and generating unit in one space-saving unit. This unique design keeps the EF2800i light, so it’s perfect for any occasion when you need heavy-duty power that’s easy to move from place to place. Switch to economy control and you can enjoy operation times of up to 17 hours at 1/4 rated load. It’s also an incredibly resilient machine, with an oil warning system that automatically shuts down when oil is low to ensure durability, and a cast-iron cylinder lining to ensure consistent performance whatever demands are made of it. Get the power you need for anything from a coffee-maker to a circular saw – in compact, user-friendly form. The EF3000iSE offer a 3.0kVA capacity and maximum running time of over 20 hours at 1/4 rated load in Economy Control mode. Despite its sizeable power, the EF3000iSE has a whisper-quiet, low running sound of just 51dB(A)- and because it’s mounted on four wheels, moving the generator around couldn’t be easier. And the smart throttle’s load-sensing control automatically adjusts the engine speed to match the load, for greater fuel efficiency and noise reduction. The all new EF6300iSE is the most powerful, most advanced Yamaha inverter generator ever. The EF6300iSE quietly cranks out up to 6.3kVA of pure sine wave inverter power at 230 volts to confidently run high-demand items such as pumps and RV air-conditioners, as well as sensitive equipment like plasma TVs and computers. The advanced features packed into the EF6300iSE include, electric start and optional wireless remote to provide you with everything you’d expect from Yamaha in one beautiful, powerful and compact package.